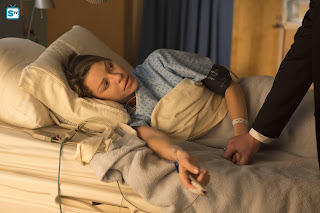 The phrase “To Hell And Back” took on a whole new meaning in this episode as Lucifer quite literally went to Hell in a bid to save Chloe’s life. Even after finding out that his father intentionally had Chloe created for him, Lucifer couldn’t turn his back on her in her time of need. It’s a sign of how much he has matured since he met her making the betrayal committed by his father all that more heartbreaking. Though, it does beg the question, did God intentionally want to interfere with Lucifer’s life or did he just want to ensure his son’s happiness? Given the scheming nature of both of Lucifer’s parents, it was likely the former, but some small part of me is really hoping that the latter played some part in the whole situation. One thing is clear, this whole situation has left a lasting mark on Lucifer. To love with every part of your soul than to find out the other person’s love for you might not be real is about as soul-crushing as it can get. What I do believe Lucifer is forgetting to take into account is that Chloe is her own woman and while God had her created with Lucifer in mind he does seem quite intent on the whole free will thing. Chloe may have been created for Lucifer, but it has been her choice to stick things out with him and to try and be with him. While Lucifer took the most immediate and direct blow because of his father’s betrayal he, in turn, dealt Chloe a hefty blow by leaving without so much as a goodbye. While all of this was utterly heartbreaking it was inspiring to see how everyone stepped up in a bid to help Lucifer save Chloe. As Lucifer stated at the end, this was clearly a group effort. Even Charlotte, who by all accounts hates Chloe, did ultimately end up playing her part to help the mission succeed. Every single character was accounted for as the team rallied in the hopes of being able to save the woman they all care about. Chloe is a special person and her friends weren’t going to let her go without a fight. This whole episode also showed off Chloe’s incredible strength and will to live as she powered through excruciating symptoms of her poisoning before finally collapsing in Lucifer’s arms. She stayed on her feet and working the case as long as she could because she believed she was her own best hope of survival. Also, because Chloe is the type of person who doesn’t want to unnecessarily burden those around her. Lucifer only found out because he surprised her at her house otherwise, I think she would have attempted to solve this whole situation on her own. She’s the type of person that would rather go down fighting than end up stuck in some hospital bed. As a result, the entire team had to unite in a way that they’ve never really had to do before. For this moment in time, all differences were put to the side and issues amongst the group were forgotten. Saving Chloe motivated them all even if some of them had different reasons than others for helping. I found it particularly poignant that many of them were actually willing to make some pretty significant sacrifices in order to save her. Dan, who just barely got back in good graces with the police force, was willing to turn a blind eye in the name of letting Lucifer do whatever he needed to do in order to save Chloe. He even went as far as to committing breaking and entering with Ella. Chloe might be his ex-wife, but nothing was going to get in his way from finding the ingredients they needed to make her antidote. He wasn’t about to let his daughter lose her mom without one hell of a fight. For all of Dan’s faults, the man does seem to have a good heart. He’s not perfect, but he also isn’t irredeemable and this season has gone a long way to redeeming him after the debacles from last season. I did really like him and Ella working together, so maybe we’ll get to see more of that. Kevin Alejandro and Aimee Garcia have a very similar energy to their acting that makes them perfect scene partners. Ella was willing to face her less than legal past in order to get the final ingredient for Chloe. She had to deal with her brother, and while I don’t think he would have shot her, being back at his shop was clearly not some place she wanted to be. With all of these hints about her illegal past and now the introduction of her brother I’m hopeful that the show will soon start to delve into her past because I think there are some very interesting stories hiding there. Until then Ella is proving herself a very handy person to have around. While Ella is the newest addition to this oddball team she has found a place with them. These people are her friends and she’s proven that in order to help them she’s willing to bend the rules for them. In this case, she actually broke the law along with Dan to do her small part in saving her friend. Chloe has become a friend she highly values, so it was nice to see them involve her in helping save Chloe. Maze has also found a place amongst this group and she has made a home on Earth with Chloe and Trixie and she was prepared to do whatever was asked of her in this quest for Chloe’s life. Well, almost anything, because even though she doesn’t have a soul she proved that she has a great big heart under her tough demon exterior when she was unable to kill Lucifer. Speaking of that no soul thing, I’m like Dr. Linda and I definitely want more information on that. 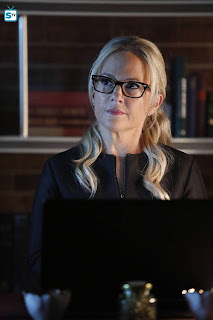 Also, on the topic of Dr. Linda, I love how adamant Maze was on not allowing her to take the risk in going to Hell after Lucifer. Maze has developed this unique dysfunctional family of angels and humans and while at any given time they all annoy her she doesn’t want to see anything bad happen to them. With the only exception being Charlotte and we all got to see exactly how much (or lack thereof) regard Maze gives regarding her existence. Dr. Linda was Maze’s first adult human friend and it’s been so much fun to watch this friendship develop. It’s worth noting that while Dr. Linda was fighting to revive Lucifer, Maze was genuinely terrified of losing him. He’s more than her former boss, he’s her best friend and losing him would have been as harsh a blow as losing Chloe would have been. When Lucifer took his first breath her relief was immediate. Dr. Linda was actually willing to die to get Lucifer back home to save Chloe. Now I want to know what is so bad in her past that would make her think she’s destined for Hell. I do hope the show elaborates on that a bit in the back half of the season. Also, I suggest that she take a medical refresher course if she’s going to keep hanging around with this group. It’s not a matter of if they’ll find themselves in a situation like this again, but when. Inevitably one of them is going to once again find their life on the line. I just hope that she never gets herself into a life or death situation. The more she gets pulled into the celestial side of things the more danger she’s in as well, so I hope that Maze, Amenadiel, and Lucifer take extra care to keep her safe from harm. I do expect that Amenadiel will take extra interest in protecting his friend now that he knows that she’s in the know regarding their celestial origins. Now that they’ve both kept secrets from one another they are at least sort of on the same level now. She’s a great moral compass for all of them, so they definitely can’t do without her or chaos would erupt. Amenadiel was tasked with putting himself in physical harm to protect Chloe. He’s had his issues with Chloe over the run of the series, but he sees how happy she makes his brother and despite everything going on he knew he had to help save her. Lucifer would never have forgiven any of them had they not done something to try and help save her. He vowed to his brother that he would stand guard over Chloe, but I think once he met Trixie the stakes suddenly grew tenfold. There is something about that little girl that can melt the heart of the most hardened of celestial beings. When he promised her that he was there to look over her mom he took his words to her seriously. Then when Chloe started to seize he was quick to reassure Trixie and ensured that she wouldn’t have to watch her mom’s health rapidly decline. As she was being escorted out he promised her he’d stay with her mom and he held firm to that promise. He very literally fought to stand as a guardian over Chloe. He played a part in Chloe’s origins, made a promise to his brother, and still, I think his biggest motivator as he was fighting off those guards was that little girl who he had made a promise to. Moments earlier Trixie had been cradled in her mother’s arms and Amenadiel was not going to let that be the last time Trixie would get to be in her mom’s embrace. He had a lot of motivating factors as he fought and it was impressive how much effort he put forth. 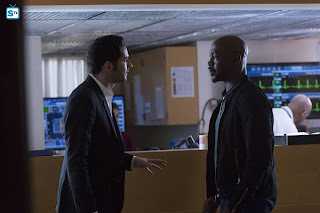 The entire sequence that showed everyone in their final push to save Chloe was epic all in its own right with its well-placed shots and swelling music, but watching Amenadiel and Lucifer reunite at the end was one of the best parts. 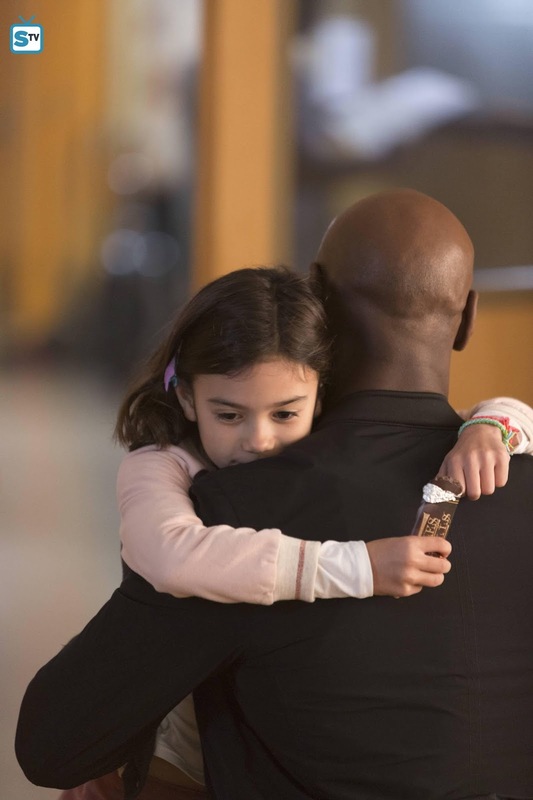 Amenadiel had done right by his brother, by Trixie, and by Chloe and it certainly earned him a bit of his brother’s respect back. Trixie, while not involved in the overall battle to save her mom, was still a critical part of the story. Her concern for her mom was palpable and her belief in Amenadiel was heartwarming. She’d only just met him yet she instinctually knew he was good. Everyone has been focused on the fact that God had Amenadiel facilitate Chloe’s existence for Lucifer, but has anyone taken into account that by the fact of Chloe’s existence Trixie was allowed to exist? It’s widely theorized that Chloe was the endgame of God’s plan, but I can’t help but wonder if Trixie might have been a part of his overall plan. That little girl exists for some bigger purpose which is made clear every time she interacts with one of the celestial characters. I would not be at all surprised if she grows wings one day. She’s about as pure and innocent as they come. Someone not at all innocent is Charlotte, but she did come through in the end. She did die in the name of saving her son who was trying to save Chloe, so whether she likes it or not she played her part as well. As a result of her trip to Hell, she had a hard moment with Uriel. If this is the sort of stuff that lost souls are punished within Hell I can see why Lucifer, Maze, and Charlotte were so quick to get out of there. I am a bit confused as to why Maze spent so much time in the past wanting to go back, but I guess she had a different perspective given she was the one inflicting those punishments. Something else curious regarding that, is if the only way back to Hell is by death and Maze has no soul has was she planning to get back to Hell? Hopefully, a mystery that will eventually get dealt with and in fact telling her story might give the writers a way to really delve into how troubled they all are. Lucifer and Charlotte’s escape from Hell highlighted just how much these two have to deal with in regards to their guilt over recent events. Charlotte has done nothing but cause strife since she arrived on Earth, to which she admitted, but under it all, she does love her children. She has a screwed up way of showing it most of the time, but at the end of the day, every stupid thing she has done has in her twisted mind been a way to help her son. I think this trip to Hell provided her with a startling reality check especially when she realized the significant part she played in Uriel’s death. I don’t expect her to stop scheming when the back half of the season resumes, however, it will be interesting to see if she changes her ways at all after everything that happened in this episode. 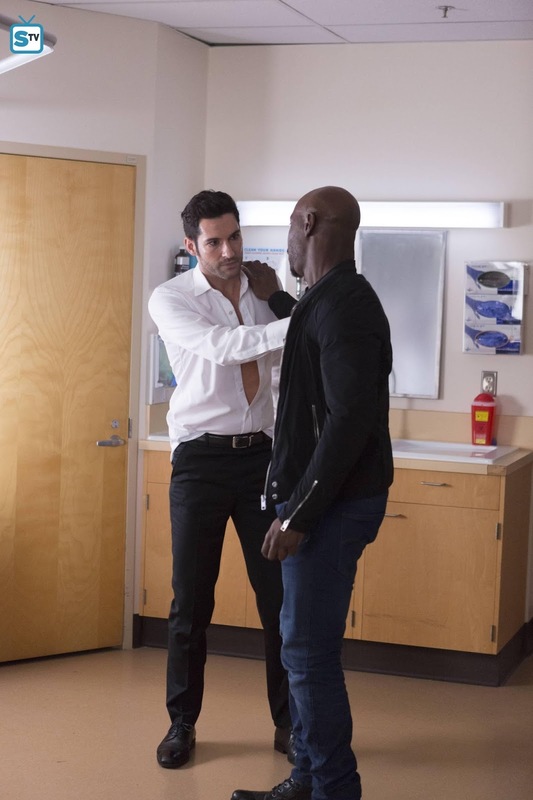 As the episode closed out, and Lucifer had a tender moment with Chloe, he appears to have packed up and left. That leaves all of us to wonder what it will take to bring Lucifer back home to deal with Chloe. He took off because he loves her and he can’t give his father that much satisfaction to prove him right. For him to be with her he’s going to have to come to terms with his father and that’s not an easy thing for him. Lucifer has been massively hurt by both of his parents. With any luck, he’ll pull a Maze and not go too far from Los Angeles in his quest for answers. It’s going to be a rocky road for Chloe and Lucifer when the season resumes. At this point, I think the only path these two have to be together is for Chloe to finally be made privy to the full truth. The secret has done nothing but make things much harder and I think Chloe will be a lot more receptive than Lucifer thinks she will be. She might have been made for him, but her love for him is all her own. He’s proven himself a man that she can give her heart to except he’s too afraid to accept it right now. My hope is that a reveal will happen by the end of the season though this show has proven time and time again that it doesn’t like to be predictable or do what anyone expects them to do. The writers of this show are brilliant and I for one trust them to keep telling an amazing story even if I do on occasion wish they’d speed things up just a tiny bit. This was a terrific episode with some truly standout performances. 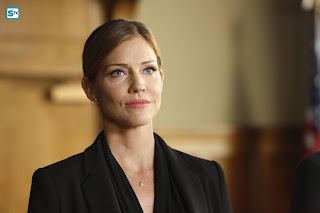 Lauren German was fantastic as she showed Chloe’s health decline. Even when Chloe was in the hospital bed German was still delivering incredible performances. 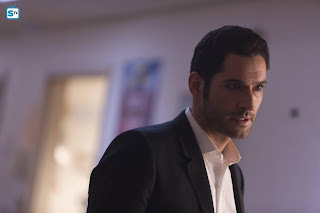 Tom Ellis, well, there isn’t really much to say about his performance other than the man is an acting genius. Lesley-Ann Brandt, Rachael Harris, D.B. 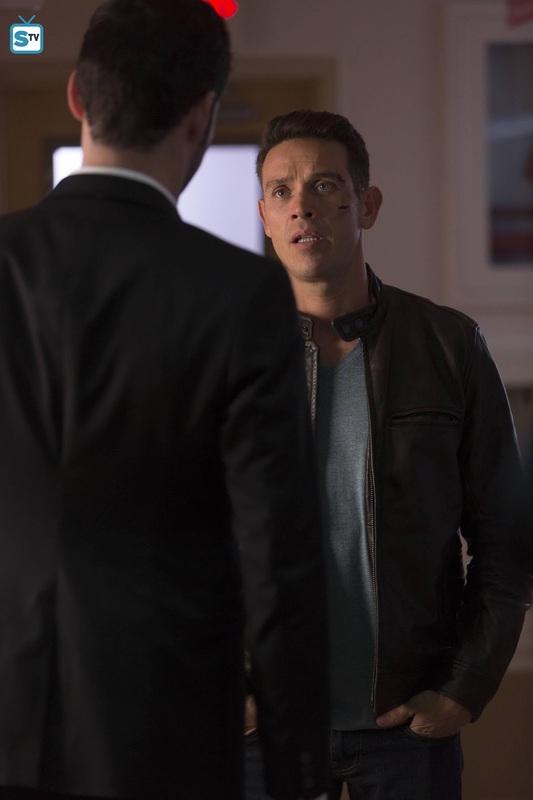 Woodside, Scarlett Estevez, Aimee Garcia, Kevin Alejandro, and Tricia Helfer all delivered big performances that conveyed the urgency of what was going on. This episode was perfectly paced and despite a cliffhanger that will remain hanging for many months it was one of the best episodes yet. Well, it’s the best episode until the next episode airs because these writers can’t seem to stop trying to outdo themselves and so far they’ve been very successful. I’m sure they have one Hell of an intense and emotional roller coaster ride waiting for all of us when the show returns. After this intense episode with that heartbreaking cliffhanger, we now must survive a long wait until the season returns on May 1st. 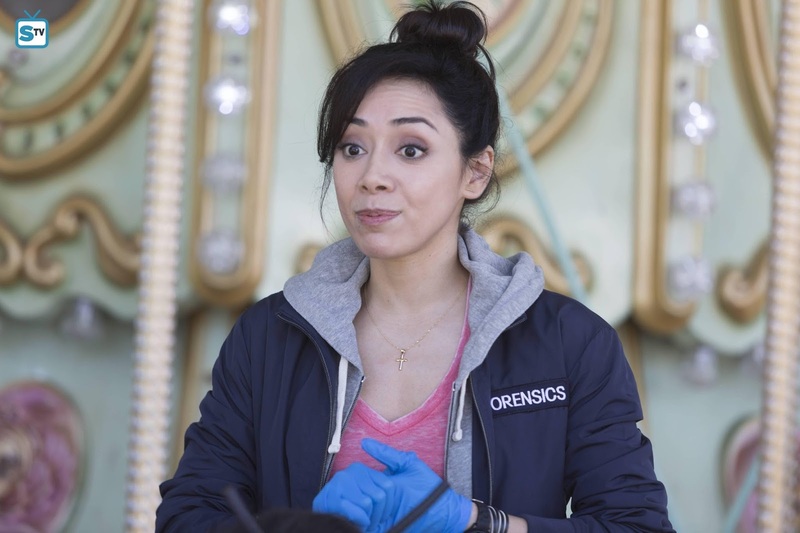 Until then be sure to check out APB which will be taking over Lucifer’s timeslot effective next Monday. It isn’t Lucifer, but it is still a great show and will ensure that the banter we all love in Lucifer isn’t lost to us on Monday’s. 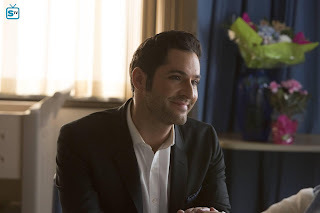 I’ll be continuing to review Lucifer when it returns in May, so be sure to join me back here in May for more of my insights and thoughts about this incredible show. Be sure to keep up with SpoilerTV through this long break and we’ll keep you updated with any news that will help the long break be bearable. Make sure to hit the comments with all your thoughts about this episode. Author’s Note: Due to a big move, the birth of my nieces, the holidays, and other writing responsibilities I was unable to write reviews for the past few episodes. I want to send out a huge thank you to Prpleight for helping me out.